He’s back. If it had previously seemed as though the January 25th Revolution had come full circle the past few years, what with the “election” of yet another military man and an all-around death to democracy, the final nail in the proverbial coffin was hammered in by none other than Hosni Mubarak himself. The former president (dictator), who was “too sick” to stand trial and was eventually acquitted after the most sham of trials, has come back from what seemed the literal death to announce—what else? That he is running in the 2018 presidential elections. It feels like one of those signs I’ve seen at feminist rallies: “I can’t believe I still have to protest this sh!t.” To say it is comical would not be a lie: it’s a comedy masked as tragedy. I’ll gloss over the possibility of him winning—as if current President Abdel Fatah Al-Sisi would ever allow himself to be beaten in the so-called elections—and focus more on the absolute gall of his announcement. Here is a man in which an entire country upended itself to chase him out of office and now, seven years later, he is throwing his hat into the ring again? The shame and incredulity leaves one speechless. Imagining an Egypt where Hosni Mubarak once again took the throne seems like a dystopian novel plot twist. What is his intention? What is the point in him running for office again? He is old and sick (ir was that a ploy?) and would probably reign a la Algeria’s absentee and ancient Boutefleika. What promises could he possibly make the Egyptian people? What would he possibly do different? 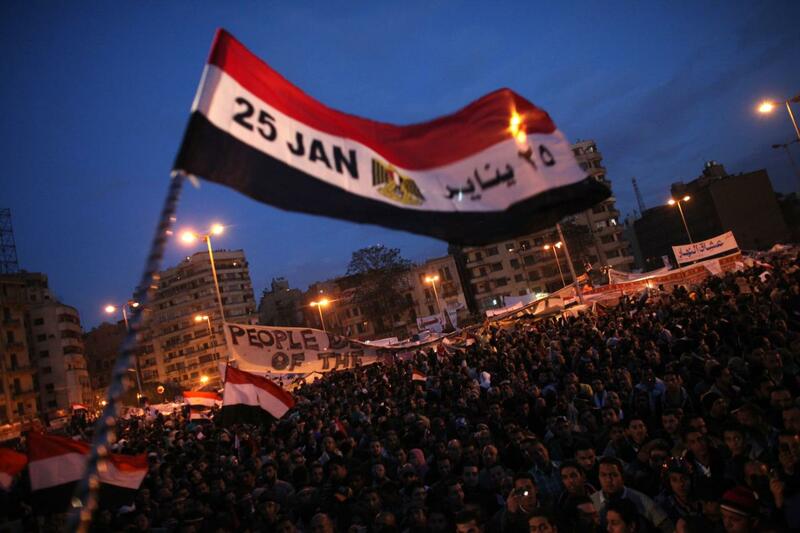 What would the Egyptian people do if Mubarak won? Protest? Begrudgingly accept that he drank some eternal life potion and will never leave them in peace? But what would be even more interesting if Mubarak won is how the international community would embrace him. What would be the response of the ever-hypocritical and flip-flopping United States? Would the West denounce a man who had unarmed citizens killed? How would the Arab World accept him? Tunisia alone succeeded the Arab Spring. Perfect it is not—look at the recent protests—but at least it is economically and politically intact, with a new government, and more rights for women (always a plus in my book). Libya is hopelessly quagmired, and no one cares. Syria is destroyed, with the only possibly outcome being “All that…for nothing.” Yemen’s fate now rests in the hands of Saudi Arabia and Iran, rather than its own citizens. Egypt… Egypt is intact, but for what? Had the revolution succeeded, the country may have been able to regain its leadership position in the Arab world, but as such it continues to take a poverty-stricken backseat to its Flashy Gulf neighbors. Perhaps Mubarak won’t actually run for office. Perhaps he will throw his weight (does he still have supporters?) behind his son, who is also running (this, also, would be nothing but tragedy in my opinion). If it gets to either one, I hope the Egyptian people remember those who died in the hopes that Egypt would establish a democratic and fair government. They don’t need to protest: all they need to do is go to the polls en masse, and pray that no one is stuffing the ballot boxes.